So my sister came to stay with me for the weekend, the first time she’s done so since I moved out to go to university. She hasn’t seen much of Edinburgh beyond Princes Street, so my challenge was to take her to as many things as possible in a weekend, which weren’t too expensive and would appeal to a teenager. Luckily, summers spent taking teenagers on excursions at work left me well-informed on the subject! We were working within a budget, so first up was Arthur’s Seat. Not many cities can boast an extinct volcano in their centre - just one of the Seven Hills of the city! - and it’s a favourite of tourists and residents alike. The climb itself is manageable for most people - I’m pretty unfit and I can do it! - though it’s quite rocky at the top, and can be tricky in the wind and rain. We got decent weather as we set off, but it was blowing a gale by the time we reached the top. Unfortunately, this limited our view, which can be spectacular on a good day, but we did get to witness some rainbows on the way back down. We’d bought a picnic lunch, which we ended up eating outside Parliament, due to the rain. The building makes for an… interesting view (i.e. I hate it). 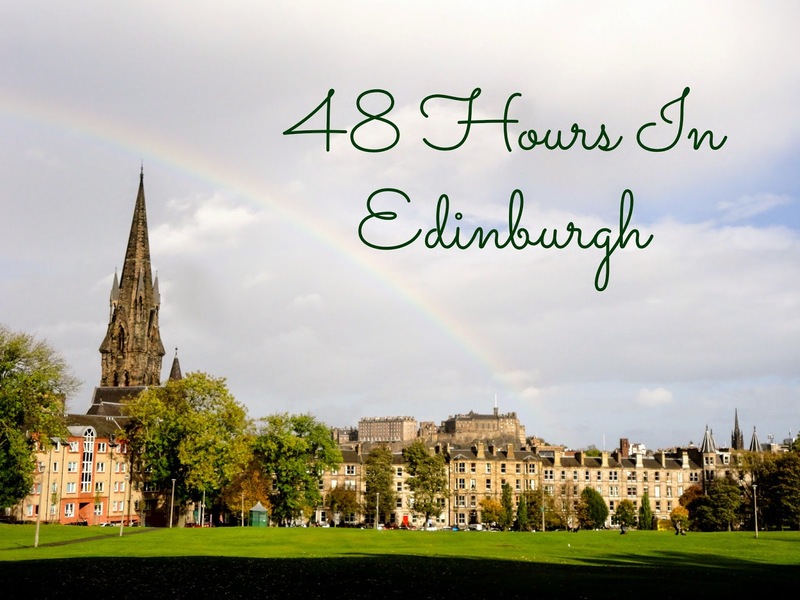 It’s impossible to visit Edinburgh without taking a gander along the Royal Mile, the high street stretching from Edinburgh Castle to Holyrood Palace and littered with the most Scottish-themed shops and pubs under the sun. We walked it uphill and I regaled my sister with the facts I could remember from doing walking tours here at work; I’m not great with dates, but I know all the stories! 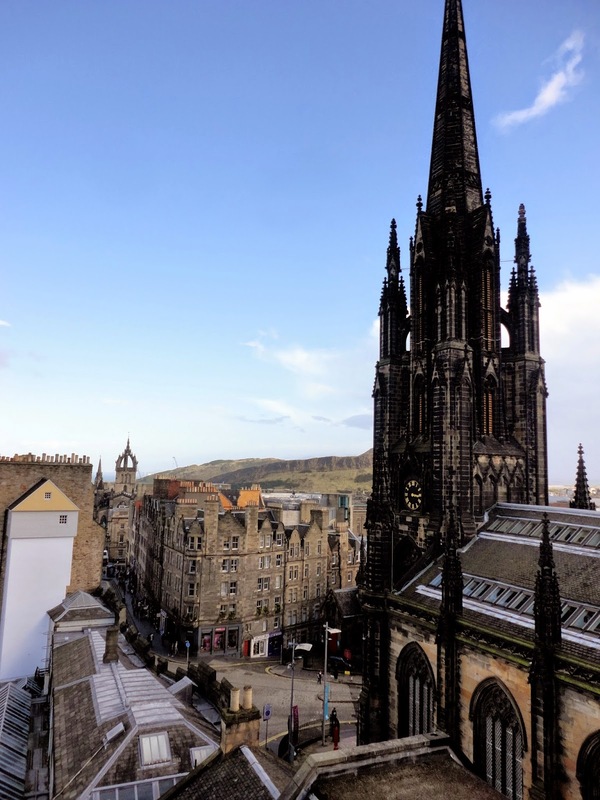 At the top of the Mile, we went into Camera Obscura, which my sister really enjoyed. 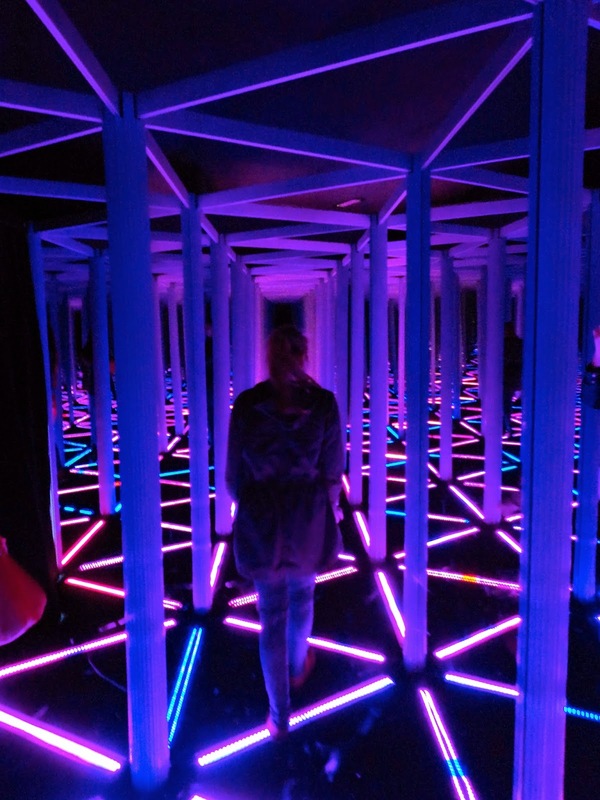 It’s full of exhibits of optical illusions and holograms and such like; we went through a mirror maze and vortex tunnel, played with light beams, distorted our faces, spied on the Castle esplanade and left our shadows behind on the wall. There’s so many things to see and play with inside, so it’s great for younger people her age, as well as mine! At the top you get a bird’s eye tour of Edinburgh in the camera obscura itself, and get to do some more spying on the surrounding areas. 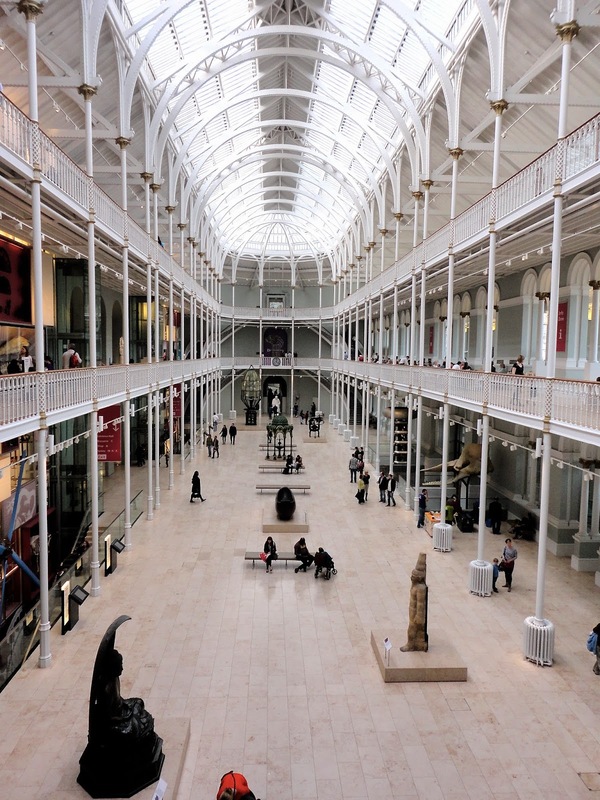 We stayed in and ordered pizza on Saturday night, then started Sunday bright and early with a trip to the National Museum of Scotland. I’ve been enough times to know the place upside-down, but I do think it’s a great museum, as well as being free! Well laid out, with heaps of interactive features, and housed in a beautiful old building. 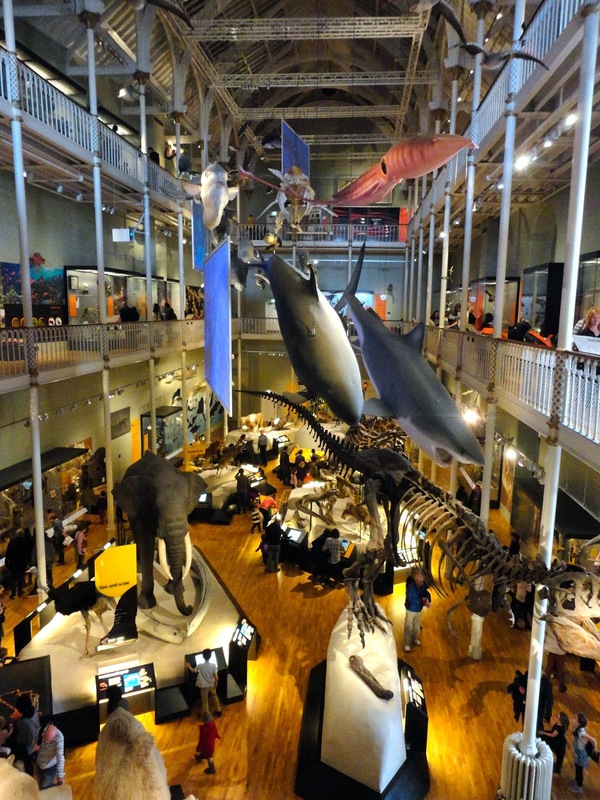 Unfortunately, several parts are being renovated just now, so we had limited options, but we got through all the natural history and world culture sections, which was probably enough for my sister for one day. We then had lunch in a cute cafe called Lucano’s Kitchen on George VI Bridge, which was rustic and quaint and good value, if a little cramped. Next up was the Edinburgh Dungeons, one of our pricier choices, but well worth it. Having done it before, I know about all the surprises and spooks, but I’ve still never tired of it. One room had changed though, which caught me a little off guard! It’s both scary and funny, with great actors and gruesome stories that visitors are thrown right into the middle of. My sister loved it, and I’d still go back again. We then headed to Princes Street for a little early Christmas shopping, though not for too long as you can shop pretty much anywhere; our focus was the things unique to Edinburgh. We had dinner at Prezzo on North Bridge, as my sister loves Italian food and I get a good deal there with my Tastecard (a new acquisition which I highly recommend for eating out!). The meal was fairly simple, but enjoyable, and we got a great view of the Balmoral Hotel lit up at night. We then headed to The Real Mary King’s Close, the only attraction I hadn’t been to before. 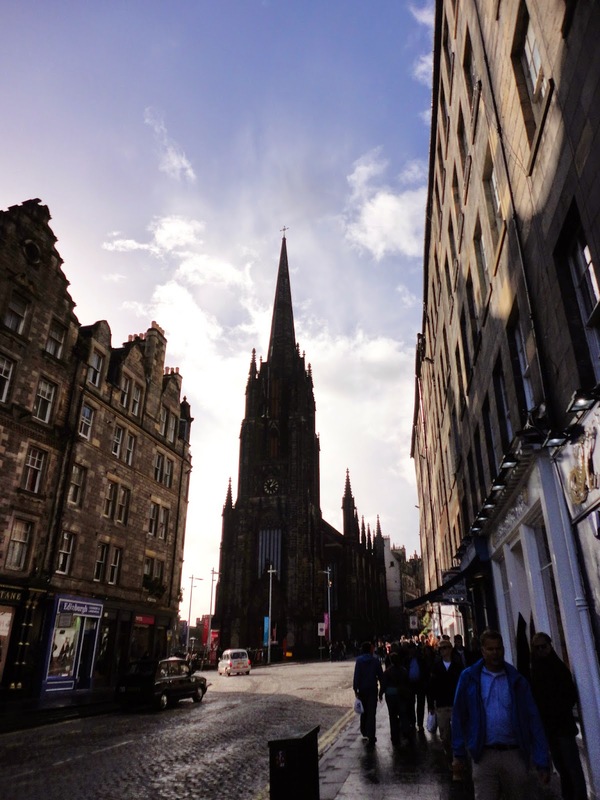 It’s a tour of Edinburgh’s underground streets, a little spooky, but very interesting. It’s more factual and historical than the Dungeons, which favour scariness and humour, but I got to see a hidden part of the city and heard a few stories I hadn’t before. All in all, we had a great weekend. I’m always about making the most of your time in any given place, even if you don’t have long there, so I’m glad I got to show her so much in one weekend. We were pretty tired by the end of it, but it was definitely worth it!